Are you planning an event where it is likely you will need catering in Creve Coeur, Missouri? Are you wondering what on earth you are going to feed everyone? Did you plan to make everything yourself, begin preparing, and then realize how much work you unwittingly signed yourself up for? Don’t worry, Rizzo’s Bar and Grill is here to save the day! Our succulent Italian dishes are perfect for any event and are sure to please even the most picky of eaters. There’s a reason Italians are known for their cooking. If you’ve never had a chance to enjoy a delicious meal prepared by us, we invite you to come see everything we have to offer, and be sure to take advantage of our early bird special! Stop by any day Monday-Friday from 3-6 to enjoy your choice of entree, salad, side and even a glass of wine–all for only $11.99. We’re certain that if you know how great our food tastes, you will be excited to have us cater your event! 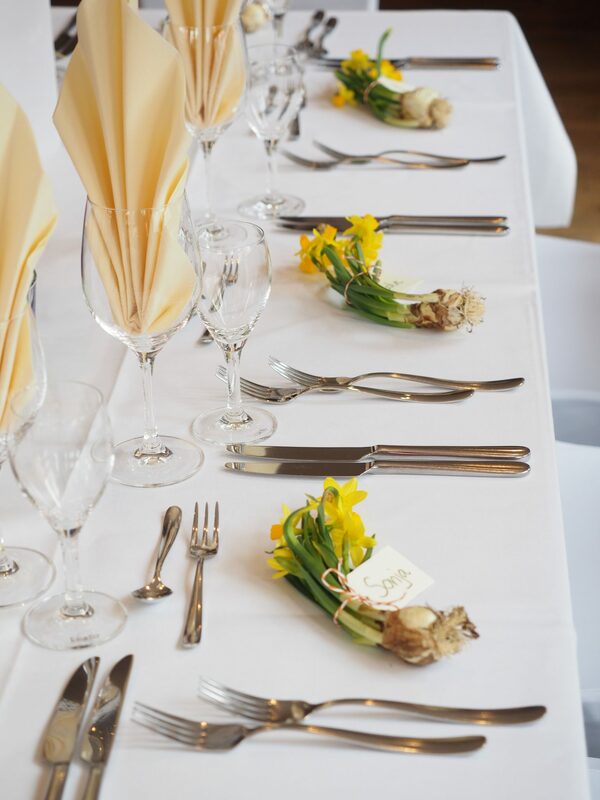 We offer a full catering service whether your event is a small, intimate affair or a large gathering where hundreds of people will be in attendance. We have a large catering menu filled with savory dishes to choose from. For example, how does our decadent hand carved Italian Roast Beef, Brown Sugar and Cherry Glazed Ham or a delicious plate of Chicken Pomodoro sound? You also get to choose two sides ranging from our mouth-watering Baked Mostaccioli to Sauteed Green Beans. We guarantee that you never knew how good green beans could taste until you’ve tried our variation. Once you’ve got your main dishes and sides, all you have to do is choose a salad and tell us where to bring it! Plus, every menu comes with our Italian bread or dinner rolls. When you need delicious catering in Creve Coeur, that is sure to please your guests, you need Rizzo’s Bar & Grill. Visit our location in Wentzville, MO or give us a call at 636-332-6757 to choose the perfect menu for your event today!